The Mikron seed was sewn in 1963 when Mike Lucas, a jobbing actor, realised that his mission was to take theatre to unusual venues and new audiences outside of London. Today we still hold fast his original principles, touring the country with shows which both inform and entertain. It was during a boating holiday that the truly unique aspect of Mikron came to be. 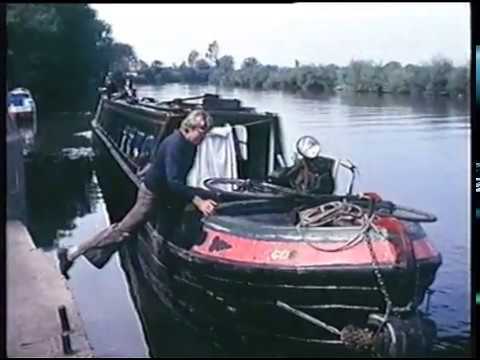 Mike, having spent many hours enjoying the atmospheres of the canalside pubs and sampling their local brews, realised that travelling by canal would really give his company a way to reach audiences and venues that may be too “out of the way” for regular touring companies. So in 1972 Mikron took the plunge and toured our first play written for the waterways; “Still Waters”. One or two of us have taken the plunge since – usually unintentionally! Mikron is now famous for its national waterways tour, aboard the 1936 Grand Union Carrying Company narrowboat, Tyseley. First used by Mikron in 1975, she has been our floating home ever since. Tour booking and press was done by Sarah from the back cabin of the boat and, with a large bag of ten pence pieces, a stool and a local payphone, she would book and promote tours. Cast members used to research and co-write the shows, which were directed by Mike Lucas. Mike also performed for the company for many years. Mike ran the company until 2005 when his role was split between Richard Povall (Artistic Director) and Peter Toon (General Manager). In Winter 2009 Marianne McNamara took on the Artistic Director role and Pete became Producer, with Richard stepping out of the day to day running of the company. To read more and listen to Mike Lucas chat about the company see this wonderful Unfinished Histories website.